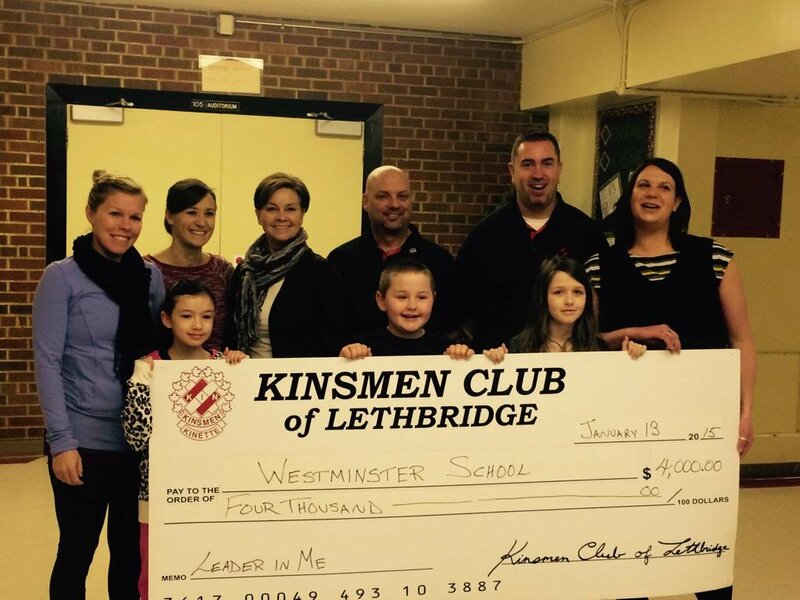 When Derek Hoare, a teacher in an elementary school in Lethbridge, AB, first approached the Lethbridge Kinsmen in 2013 looking for help to implement The Leader in Me program in his school, the club was naturally skeptical. 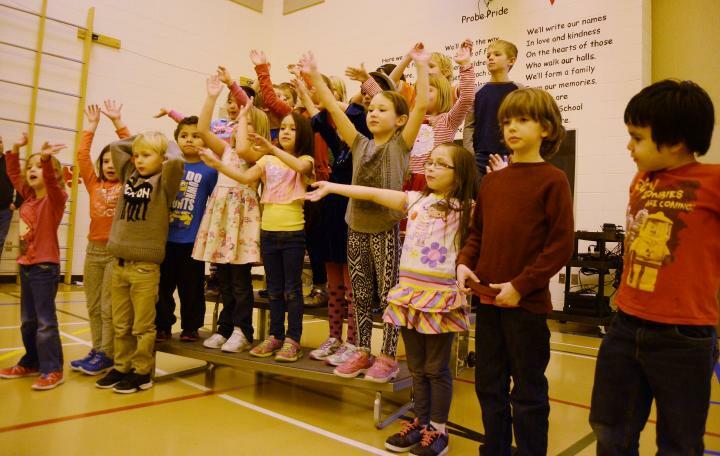 They wondered how a non-curricular program could be effective, and why should it need out-of-school funding. When Derek brought several students from kindergarten through grade 5 and their parents to present at a monthly general meeting, the Kinsmen club members were blown away by the children’s presentation. Those little kids stood in front of a crowd of strangers and shared their personal experiences with the program. They talked about how it had already changed their lives at school and at home, how they now approach every part of their lives with a plan, and how they are going to change the world! 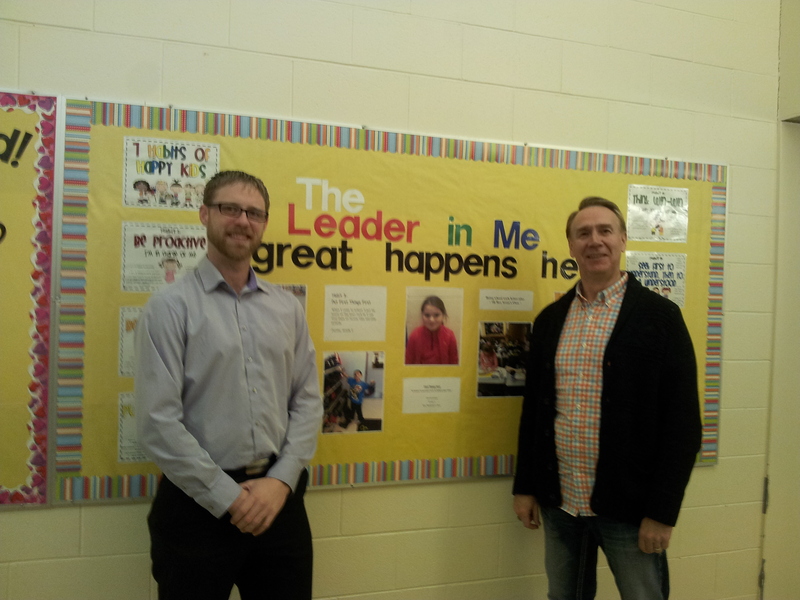 Derek explained that the program was new to the school district, and did not qualify for school board funding. 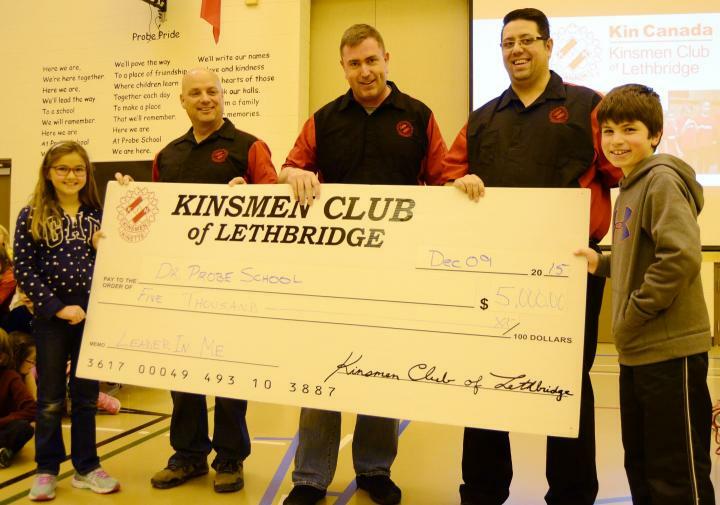 After further research and discussion, the Lethbridge club decided to donate the more than $4,000 in seed money that the school needed for teacher training and supplies. 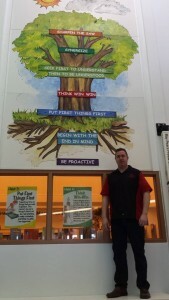 The Leader in Me program uses the principles from The 7 Habits of Highly Effective People as a key component of the overall process. The 7 Habits is a synthesis of universal, timeless principles of personal and interpersonal effectiveness, such as responsibility, vision, integrity, teamwork, collaboration and renewal, which are common to all people and cultures. The process teaches students the skills needed for academic success in any setting. 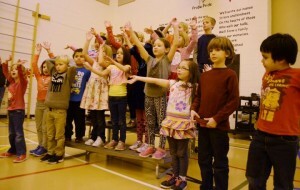 These skills include critical thinking, goal setting, listening and speaking, self-directed learning, presentation-making and the ability to work in groups. What does this all mean for the school, the children, and their families? Better community citizens today and better leaders for tomorrow! Over the past two years, the Lethbridge Kinsmen have seen a transformation in the absolute fabric of the culture in Derek’s school. So much so, they have now supported the program in another three schools, with donations totaling nearly $20,000 in just two years! But their involvement does not stop there; several times a year, members of the club attend school “assemblies”, and are always honoured guests of the students. They see children taking true leadership roles in their schools. Attendance is up. Discipline and behavioral issues are way down. 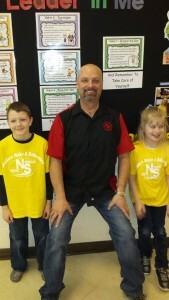 Children are taking home the things that they learn in the program, and are teaching their parents! 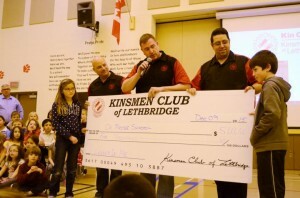 The Lethbridge Kinsmen are incredibly proud to be involved in this program. They know that their community is in excellent hands already, and the future is very bright! 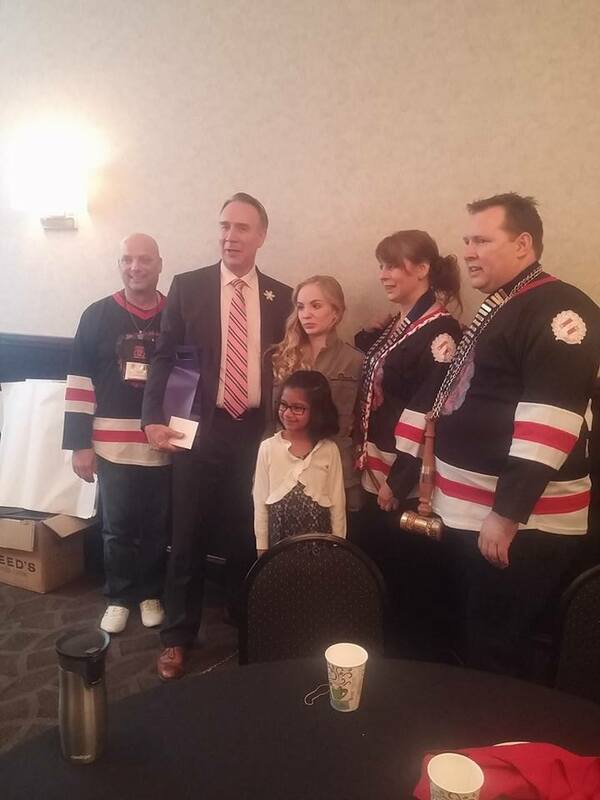 As Blair puts it, “It is these kids who will come to the Kin Clubs because they genuinely understand the benefits of Service, and care about creating a better community. 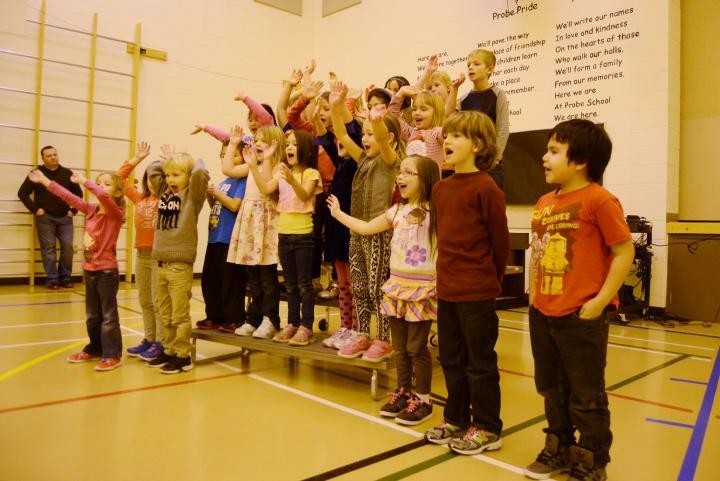 Solicitation of membership will become a thing of the past.” One of the community’s greatest needs is leadership, and it is being built today through The Leader in Me program. Please visit http://www.theleaderinme.org/ for more information about the program, and approach your local schools about bringing The Leader in Me to them! 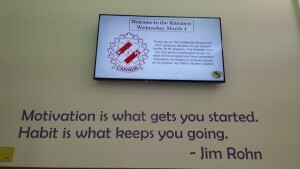 School TV: This is the TV at the entrance to the school. 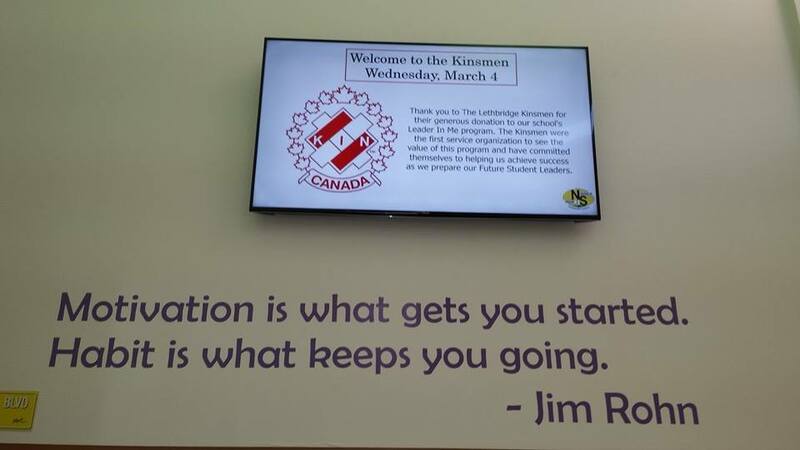 They showed this message to all of the visitors and as a welcome to the Kinsmen to an assembly in their honor. 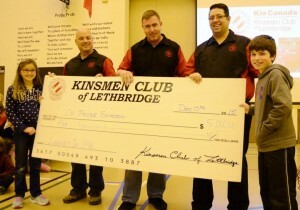 Ryan and Derek: Ryan Cook, Lethbridge Kinsmen (left) and Derek Hoare, school teacher. 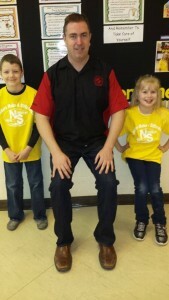 This is a “before” photo of what the kids were already doing in the program.